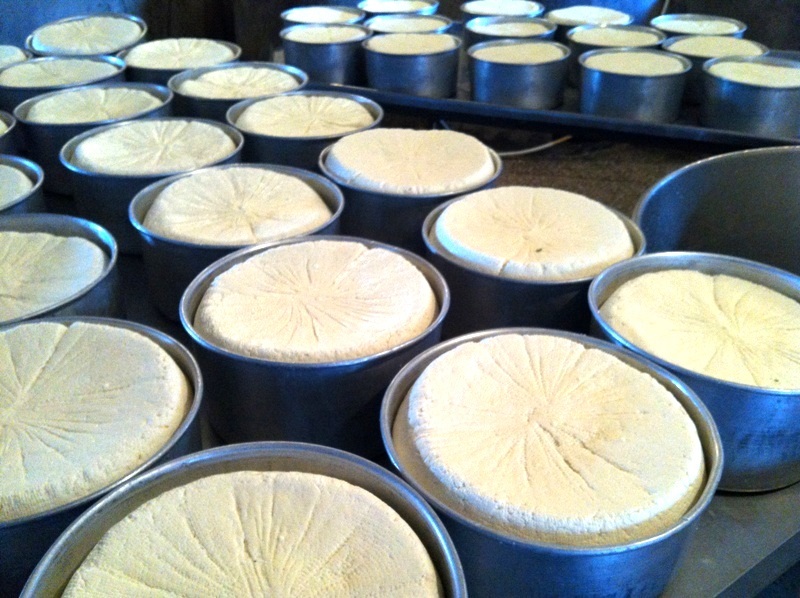 Cheese produced by Samvel Darbinian is well-known throughout the Uchmana community (Ninotsminda, Javakhk, Georgia), as well as in Tbilisi, for its taste and quality. 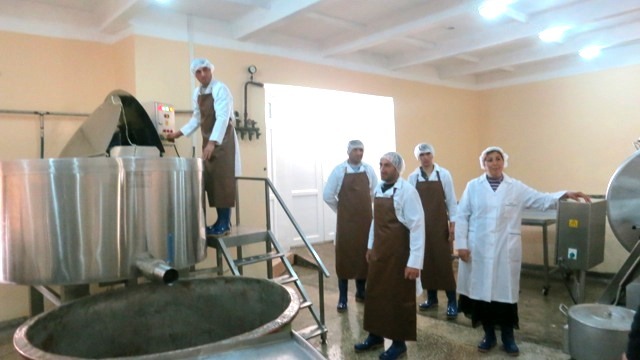 Samvel’s business distinguishes itself from the others in the region by producing exceptionally high quality cheese in sanitary conditions with modern equipment. Samvel Darbinian learned about the Turpanjian Rural Development Program (TRDP) from his acquaintances. He confessed that though he had been in entrepreneurship for nine years, he decided to apply to TRDP mainly to acquire the knowledge and skills provided during the trainings. Samvel greatly values mental development and TRDP training was a real opportunity for him to train his mind and obtain new skills in business management. Samvel highlighted the importance of the accounting, financial management and marketing skills he acquired in the course of the trainings. He later shared his knowledge with other entrepreneurs in his community by providing them with consultations and helping them with their businesses. Samvel also keeps in touch with other TRDP beneficiaries, attends the openings of their businesses, and provides consultations if needed. Samvel’s way to success was not an easy one. He credits TRDP for both educational and financial support. “The consultations I receive from TRDP continue to help me in my business. I’m very grateful for that,” he added. 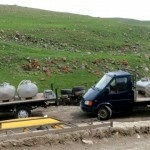 Before establishing his business, Samvel was working abroad. After working abroad for several years, he realized that he should settle down in his homeland, in the village of his ancestors. 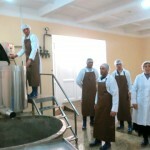 Samvel started his cheese production business in Uchmana with all his family members. “Even my children 5- 6 years old had their tasks and were helping me,” he stated. Initially the business was home based, but gradually, through a lot of effort and determination, the business developed and prospered. Today, Samvel regards his business as a very successful one. Success does not come by chance; you have to earn it. “I achieved what I have now by working hard, and due to my ability to organize everything correctly and professionally. The most important determinant of my success is that I gained the trust of people,” Samvel confessed. 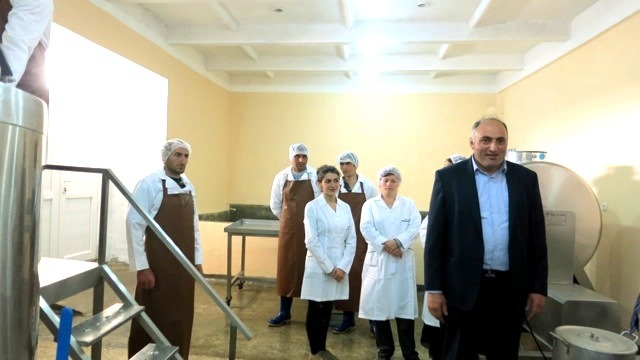 Samvel always follows the trends in his business and tries to use innovative technologies to improve the quality of the cheese he produces. He constantly searches for new markets and niches. 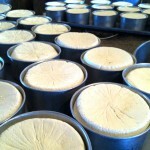 The result is that Samvel Darbinian’s Cheese Production Business is one of the successful ventures in the region. 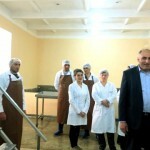 Just recently, the Georgian Minister of Agriculture came to Javakhk and met with successful entrepreneurs from the region, including Samvel Darbinian. During the meeting, Samvel discussed the achievements of local producers and raised the issues that bother local producers. 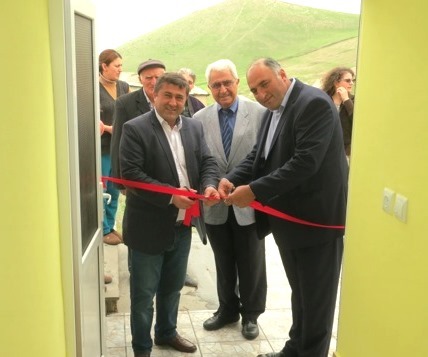 As a successful entrepreneur interested in the development of the region, Samvel was noticed by representatives of other businesses in the area. Samvel quickly received an offer to do business with one of the Tbilisi’s major supermarket networks. Currently, Samvel prepares his products for distribution in 30 supermarkets of this network. Darbinian understands the importance of civic responsibility towards the community. His business provides employment for 13 people from Uchmana and he buys milk solely from his co-villagers. 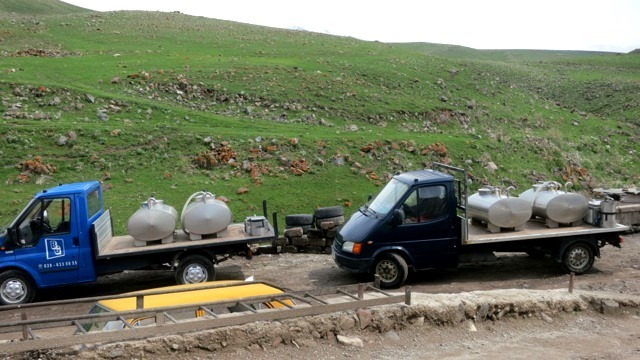 With the success of Samvel’s business, the number of farmers in the village increased because they are able to make their living by selling their milk to his business. Darbinian refused to speak about the charity activities he performed in his community. “I don’t like boasting,” he said. However, it was discovered that he supported the renovation of the inner road in the community and provided some torchlights for the night to brighten the streets in the community. “I would like to be able to do more,” added Samvel. The most important aspect of his business for Samvel is having a nice, well-developed venture, with a high quality product needed in his community. The money is in second place. Encouraged by his success, Samvel is currently considering expanding his business and exporting his products to other markets. He imagines that the cheese produced by his business will be in international markets in a few years.